好久不见（Hǎojiǔ bújiàn）! Long time no see! How is the weather in the place you live? 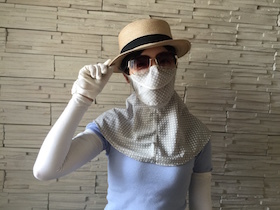 If you are in China, you have to suffer the really hot days. Let’s see how Chinese people survive hot summer. If you are in China right now you may notice that householders keep Mugwort Leaves 艾草(àicǎo) suspending over their doors since the Dragon Boat Festival. It is like people hanging Christmas decorations on their doors in the west. Why do we do this? It is believed that 艾草(àicǎo) can drive evil spirits away. Also they can keep the insects like mosquitos away. It’s really good for summer! So today I would like to share with you how Chinese people survive the hot summer time with annoying little insects. 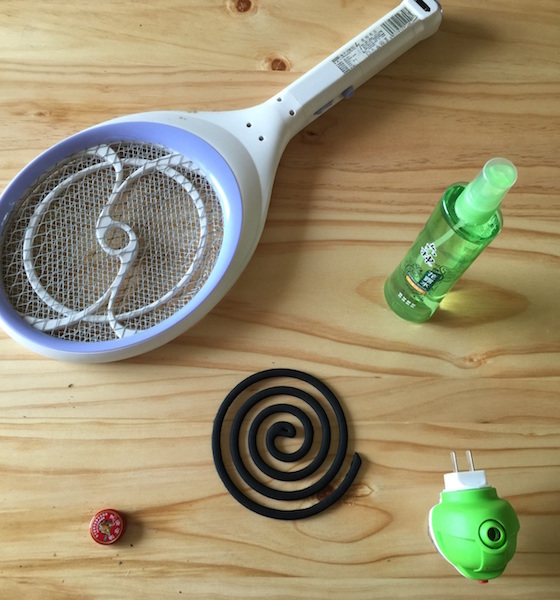 You may think of mosquito repellent 驱蚊水(qū wén shuǐ). 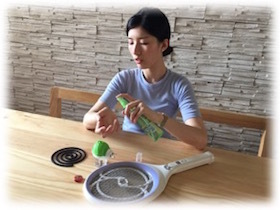 Yes, and mosquito coils 蚊香(wénxiāng), mosquito swatter 电蚊拍(diàn wén pāi) especially electronic ones are very popular. 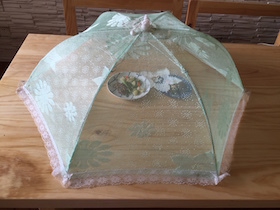 Leftover dishes which are reserved for the next meal are usually covered by a special “umbrella” to keep the flies away. We call it 苍蝇罩(cāngying zhào). It’s a shame if you haven’t tried this common household item throughout China – Liushen 花露水(huā lùshuǐ)-Six God Florida Water(just joking, the official name is not like this). Apply on where you got bite and it stops the itch. Put a few drops in your bath water to prevent heat rash. We also have Essential Balm 清凉油(qīngliáng yóu). It does the same to insect bite. Moreover, rubbing a little bit on your temple would be refreshing. Do you enjoy a summer sleeping mat? It brings you a cooling and calm sleep which makes you more close to nature. Except mats made of grass and bamboos I want to introduce you the mahjong Mat 麻将席(májiàng xí) with bamboos as raw materials and looks like a blanket made of Mahjong. Chinese people are the most creative in preventing themselves from too much sunshine in summer. You’ll get what I said when you walk in a street in China. After learning this Chinese lesson, you will be able to ask about the weather and learn how to say the four seasons in Chinese. What’s more, another useful sentence structure “从（cónɡ）……到（dào）……”which means “from…to…” will also be explained. 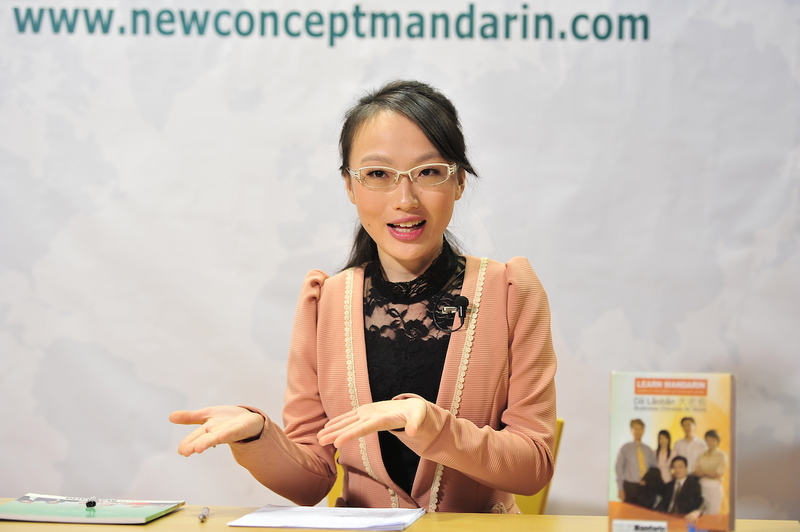 Enjoy the online Chinese lesson!